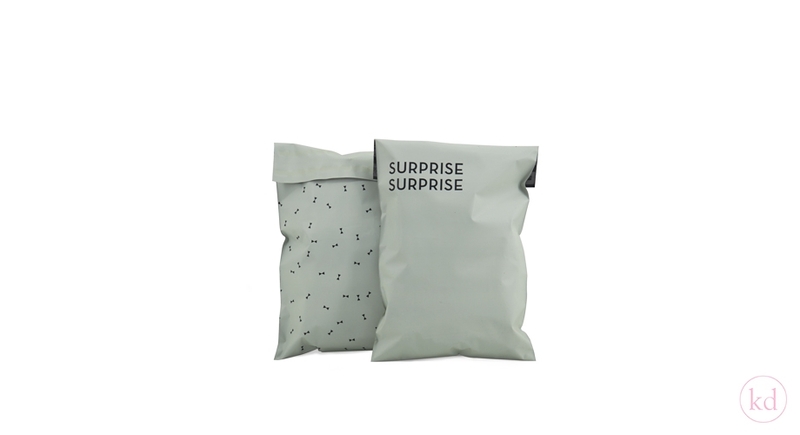 Send your customers a beautiful surprise with these mint Surprise Surprise plastic sendbags, the backside has a cute bow pattern allover and they come with a double glue strip, so its easy for your customer to send it back, if they have to. Also the black inside prevents anyone from peeking inside. Also available, medium with “Hello im here” and large with “Nice to meet you”.